Order your Lamy Imporium 0.7mm Pencil today from FahrneysPens.com. Fine Pens, Refills & Luxurious Gifts – great prices & fast shipping. The LAMY imporium series enriches the market for Premium Writing instruments by yet another product that will leave a lasting impression. The characteristic body of straight lines is technically striking, making it completely individual and unique – while contrast is provided by the firmly cylindrical cap. This combination of shapes lends the series – featuring fountain pen, rollerball pen, ballpoint pen and mechanical pencil – its classic and timeless appearance. The various models designed for Lamy by Mario Bellini are refined using high-end PVD coating and galvanisation. 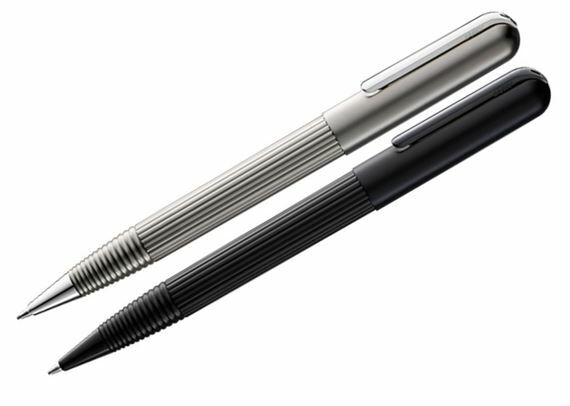 LAMY imporium – a series of writing instruments that effortlessly unites attitude and style. "A writing instrument that effortlessly unites attitude and style." All models in premium gift box with booklet.